@214_electro thanks for your support, legend! nice ep and good start! 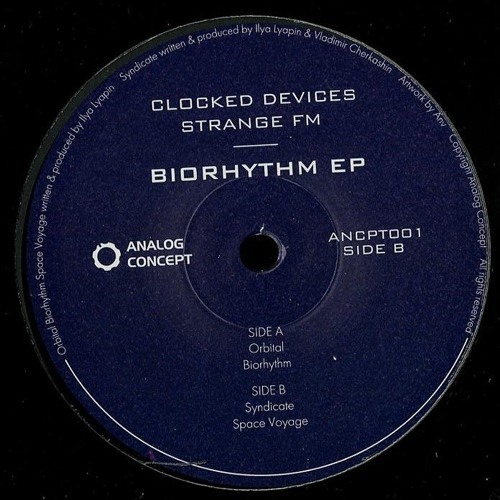 Buy ANCPT001 // Clocked Devices & Strange FM - Biorhythm EP 12"
Users who like ANCPT001 // Clocked Devices & Strange FM - Biorhythm EP 12"
Users who reposted ANCPT001 // Clocked Devices & Strange FM - Biorhythm EP 12"
Playlists containing ANCPT001 // Clocked Devices & Strange FM - Biorhythm EP 12"
More tracks like ANCPT001 // Clocked Devices & Strange FM - Biorhythm EP 12"